Lysandra Alves brings personal traits and extensive experience that apply directly to the challenges faced by growing enterprises in Brazil. Lysandra and Meissa Capital bring to Brazil a novel investment model that provides business owners with an attractive opportunity for growth and exit. 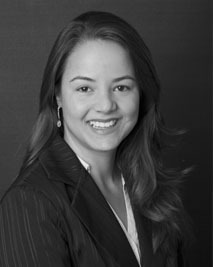 Lysandra earned her bachelor’s degree in aeronautical mechanical engineering at the Aeronautics Institute of Technology - ITA, Brazil, and the MBA degree at the University of Chicago Booth School of Business. Having led high-growth businesses across different industries, Lysandra, in combination with the experience and knowledge of the broader investor group she has assembled, seeks to partner up with a promising business in Brazil. Prior to Meissa Capital, Lysandra was a management consultant at Roland Berger Strategy Consultants, Head of Business Intelligence and City Manager at Groupon and National Sales Manager at Vivareal, a real estate online marketplace. Her managerial experience encompasses sales, operations, marketing, and human resources, while her consulting expertise includes due diligence, market entry and business model development. Meissa Capital is backed up by seasoned investors that have successfully acquired and grown multiple businesses across different industries, in the United States and abroad. Like us, our investors are committed with finding and growing a business for many years.